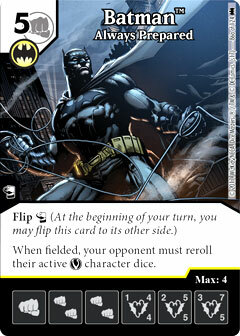 Patrol Gotham City with the Dark Knight himself in DC Comics Dice Masters: Batman! Join the Batman Family and fight crime, or create chaos in Gotham with the Joker and the rest of Batman's Rogues Gallery! Introducing more than 30 heroes and villains (and their dice! 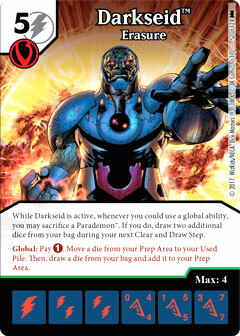 ), each DC Comics Dice Masters: Batman Foil Pack contains two cards and two dice that players can add to their Dice Masters collections. 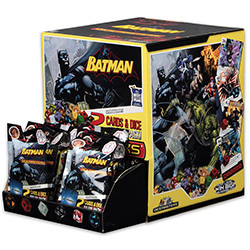 Preorder the DC Dice Masters Batman Set (WKDCDM72435) now!